This was a Valentine's evening dinner surprise from my Hubby. It was so incredibly hard to eat because I was starting to run out of room for the food yet my hunger was always so great. :) The babies were pretty picky about what they allowed down there with them too. Comments for I Was Almost 31 Weeks Pregnant With The Twins! I've become so hormonal I've started to cry out of hunger lol. I always want to eat everything in sight but can't seem to fit it in there. My baby girls are fussy about what I can eat too but I love being pregnant with them. It's amazing to have them move wildly in my belly after I feed them. And you look so happy! No wonder, that sounds like a sweet and romantic gift! I too found it difficut to eat when I was pregnant eith my twins. After dinner I would feel so full and tired and want to rest. Meanwhile (of course!) the girls would think it was the perfect time to throw a raucous dance party in my uterus. That doesn't make it easy to eat for 3! As weeks went by and my belly grew truly immense, it became evening entertainment for our family. 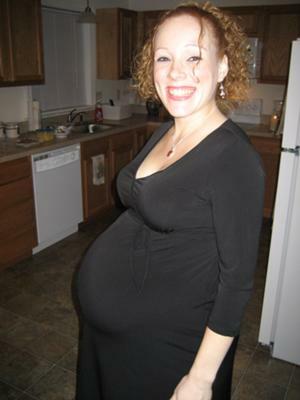 Many things about pregnancy I don't miss, but one I do is sitting on the couch with my husband and sons, all of us huddled over my incredible belly, gasping and laughing as my daughters pushed and tumbled inside. I can't believe some of the things we saw (and I felt!) as they maneuvered inside. I can only hope I look that great!